Top Cat Show 2013-08-03 Alessandro di Chio Ex 1 - NOM - BIS! MSK Show 2013-09-01 Elisabeth Raab Ex1 - NOM - BIS! Uppsala Cat Show 2013-10-05 Olga Sizova Ex 1 -NOM - BIS! Fräset Show 2014-01-04 Veikko Sarela Ex 1-NOM-BIS! Fräset Show 2014-01-05 Jaana Jyrkinen Ex 1-NOM-BIS! JUNIOR WINNER! 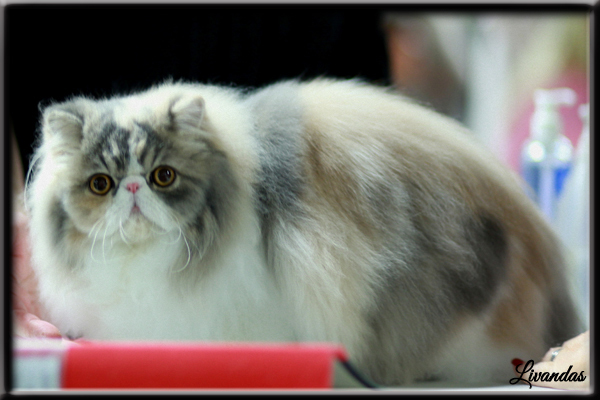 Uppsala Cat Show 2014-06-14 Hanne Sofie Sneum CAC-NOM-BIS! CHAMPION! Speed Cat Show 2015-08-01 Eric Reijers CACIB-NOM-BIS! 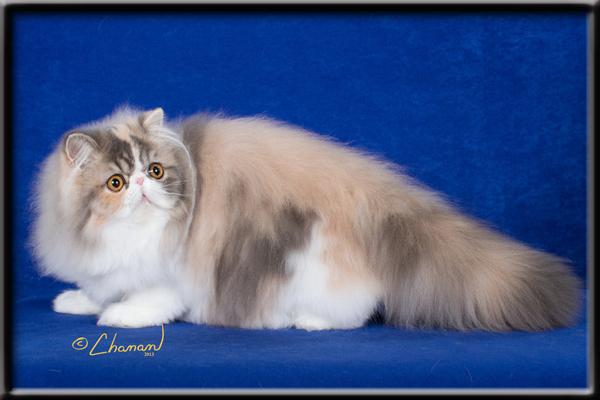 Smaalenene Cat Show 2016-06-18 Raymond Saetre CACIB-NOM! INTERNATIONELL CHAMPION! Smaalenene Cat Show 2016-06-19 Zvezdan Memedov CAGCIB-NOM!